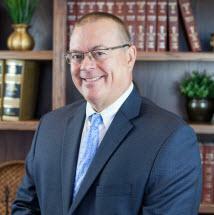 WILLIAM E. McDONALD, Jr. graduated from law school in 1984. He has served as an instructor/lecturer for the Michigan Insurance Adjuster's Association and as speaker/panel member for the Grand Rapids Bar Association's Legislative Round Table regarding no-fault insurance reform. McDonald has served as an instructor/advisor for several nationally known insurance companies on issues involving automobile negligence actions, Michigan no-fault automobile insurance matters and fire, fraud and arson claims. He has served on the State of Michigan EMS Technical Advisory Committee and has taught numerous EMS seminars. Active in the area of athletics: McDonald is the former President of the Rockford Varsity Hockey Association. He serves on the GVSU Irwin Athletic Advisory Committee and on the Laker Football Alumni Association Board of Directors. McDonald is also a charter member of the West Michigan Sports Commission, serving on its Executive Board. Mr. McDonald has a Martindale-Hubbell AV Peer Review Rating.